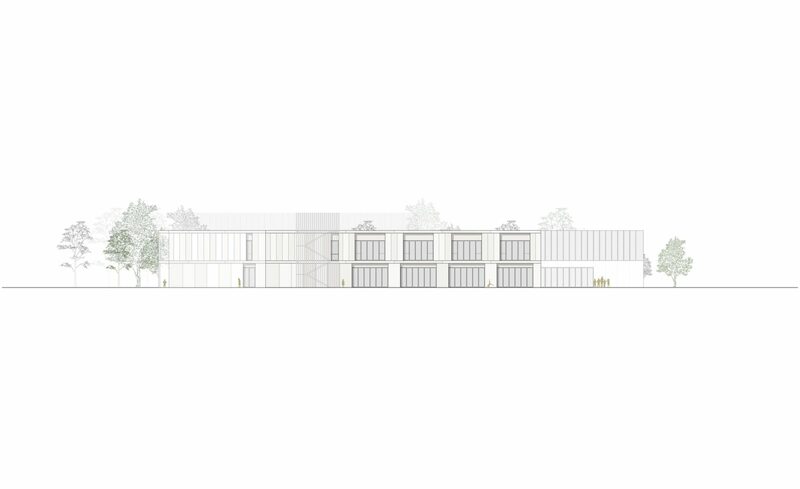 The massing of the project is the result of the intersection of three extruded squares, assembled with a clear, functional and flexible logic. 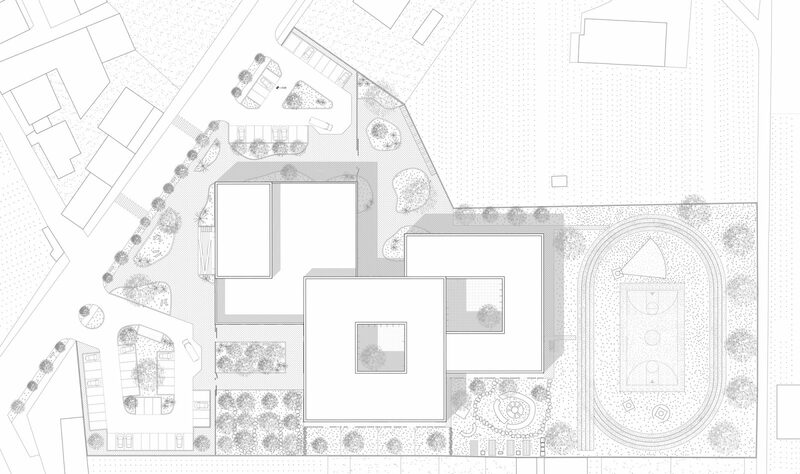 Two of the three volumes contain courtyards open to the sky, around which spaces are arranged. 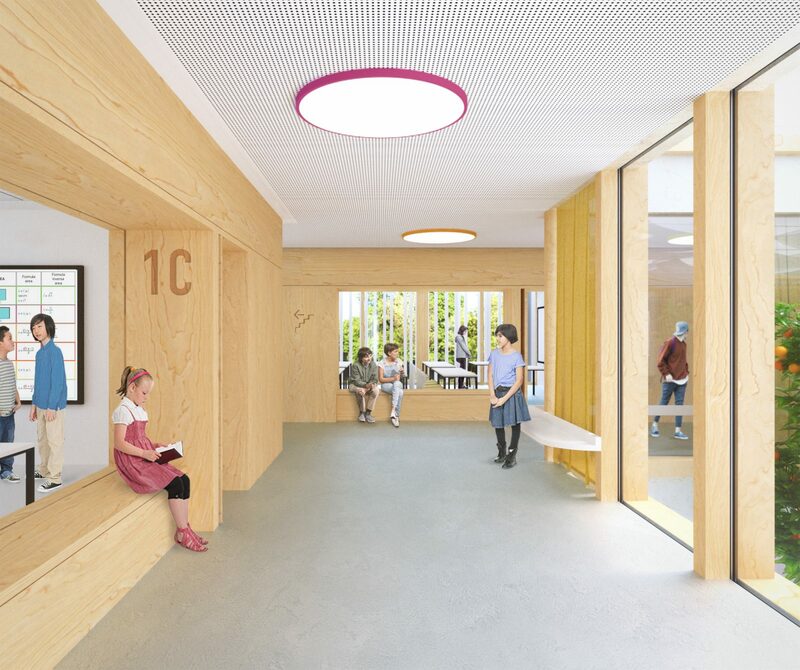 The ground floor of the first two volumes host the kindergarten and primary school while the lower secondary school sits on their first floors. 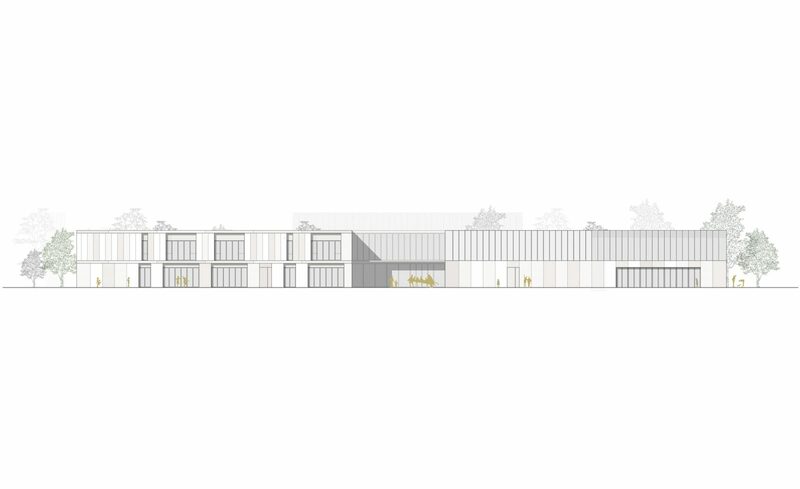 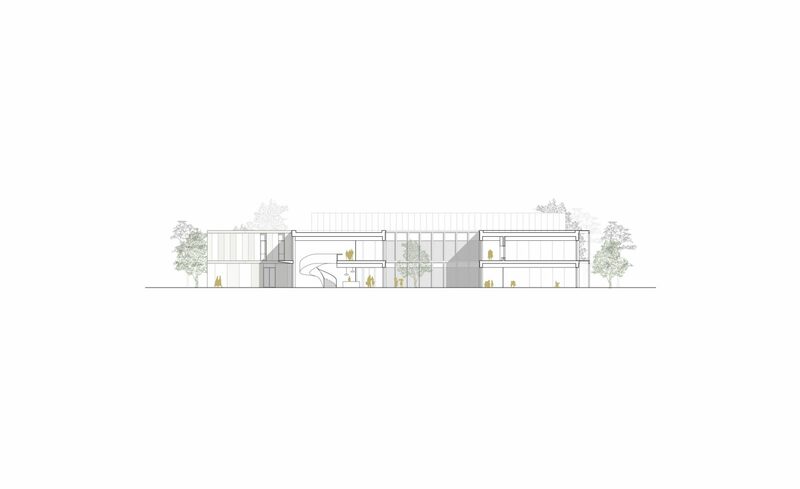 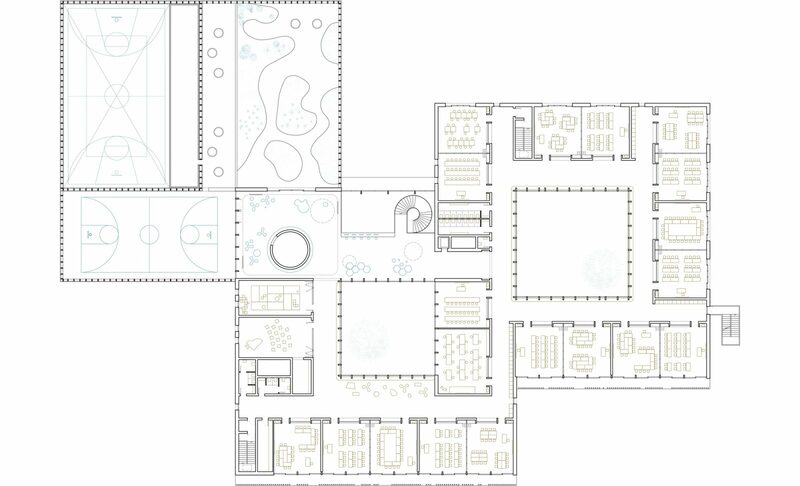 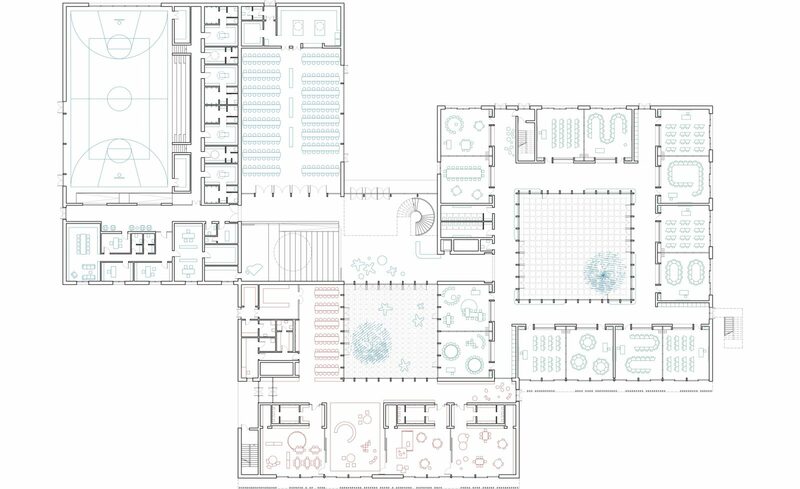 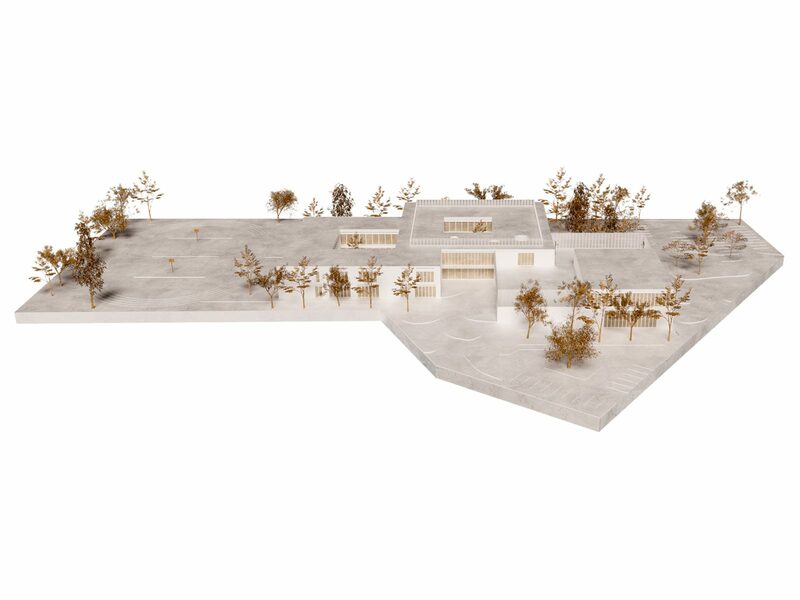 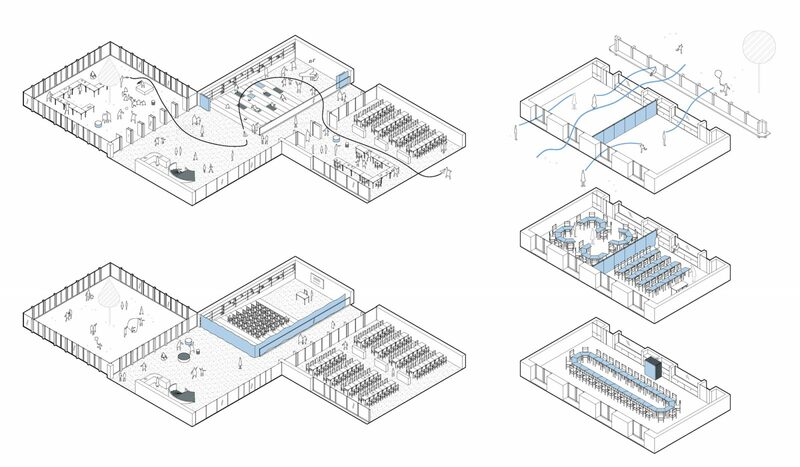 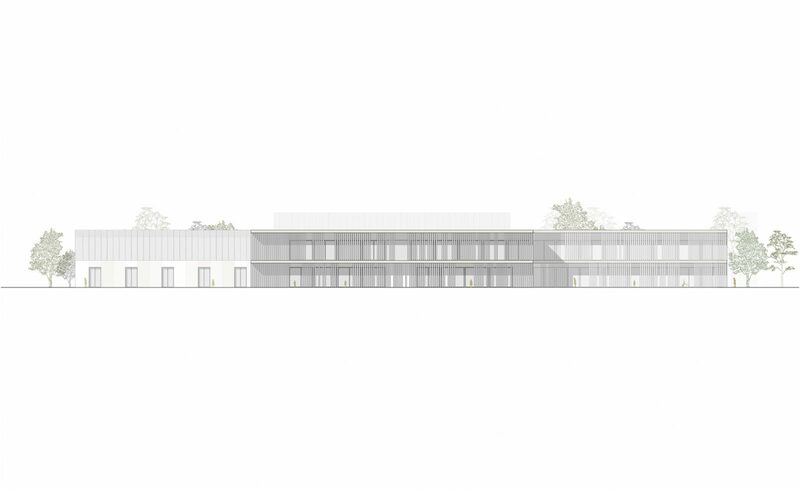 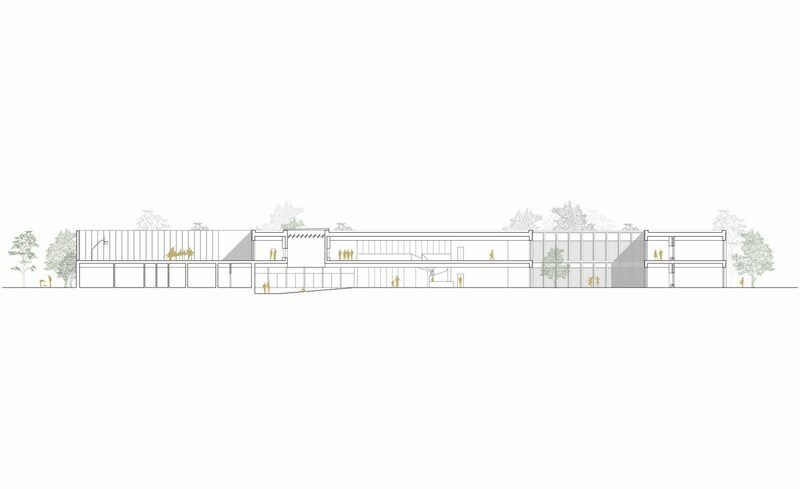 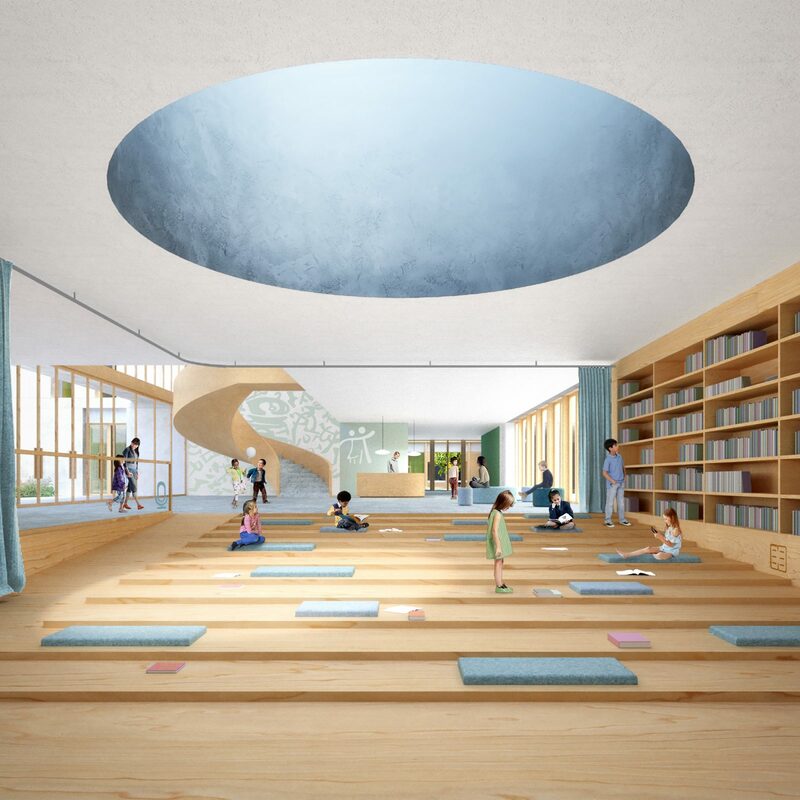 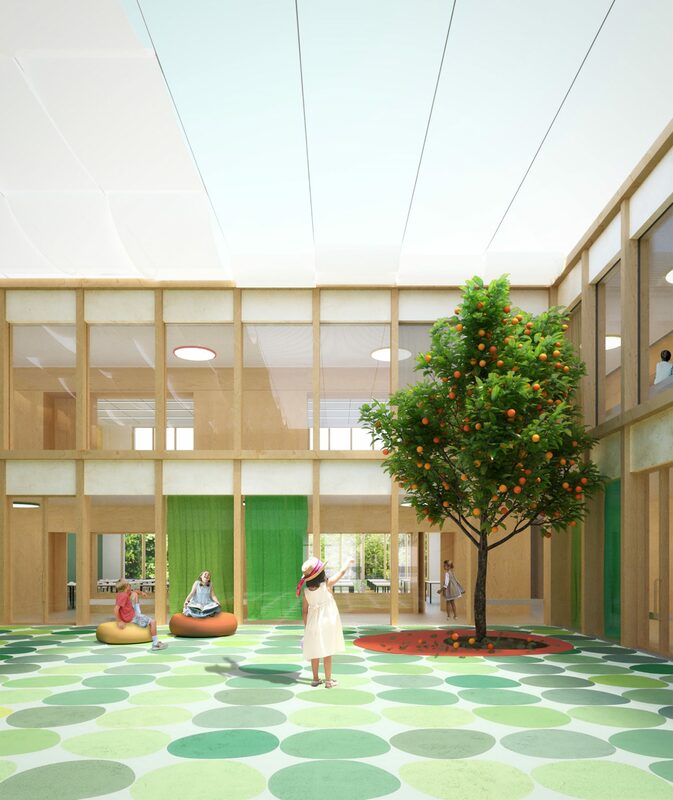 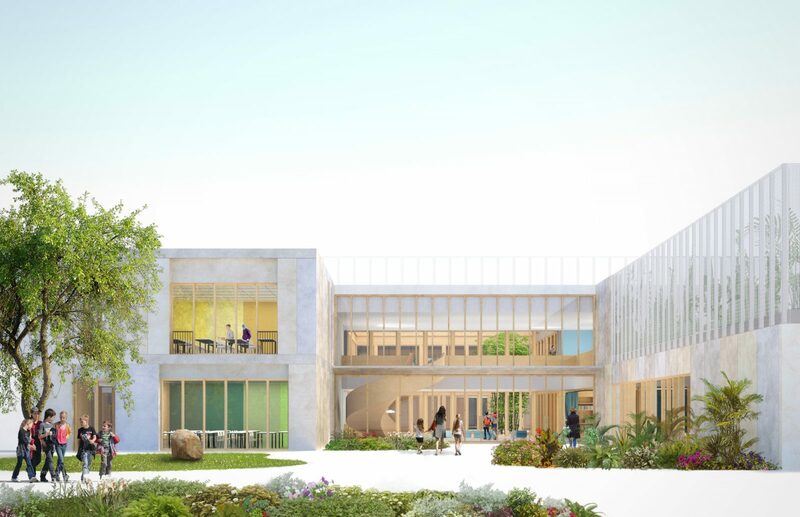 The third volume is made up of a ground floor of collective spaces (canteen, gymnasium and administration) upon which outdoor playgrounds and pedagogic gardens are perched at first floor. 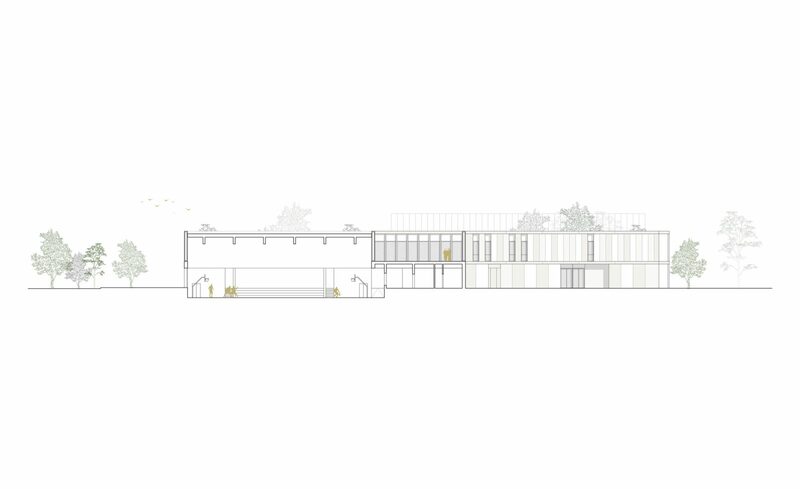 It is an architecture of natural materials, with a cross laminated timber structure, wooden window frames and external cladding made of prefabricated panels finished in different shades of white plaster, aimed at conveying a contemporary Mediterranean identity.